Experimental venues dot the plains, including Ensamble Studio’s forthcoming Domo (shown). Montana has long been mythologized for its wide-open spaces and stunning vistas. 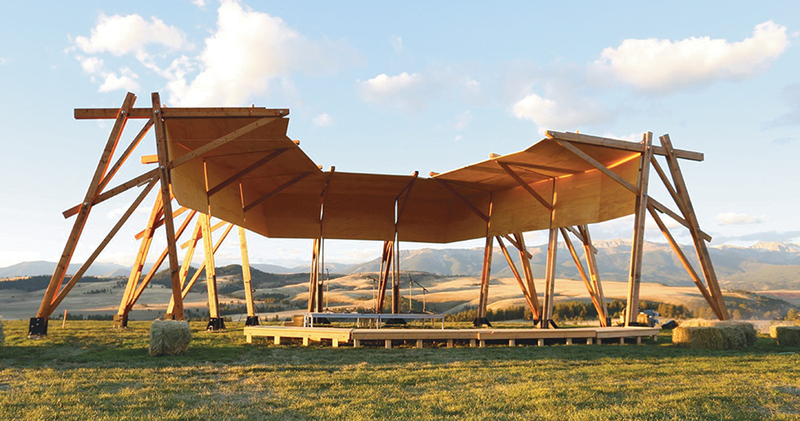 Starting this summer, one of its most remote corners will be home to a unique cultural venue: the Tippet Rise Art Center. Founded by artists-philanthropists Cathy and Peter Halstead, the facility is located on an 11,500 acre working cattle ranch between Billings and Bozeman, two hours north of Yellowstone National Park. It will merge classical music, art, and architecture with scattered performance venues and even more widely scattered art pieces. Think Storm King meets Red Rocks Amphitheater, but further from civilization than both. “There was nothing. Nothing at all. No roads, no water, no power. We had to think about everything from scratch,” explained the center’s director, Alban Bassuet, who started working on the project as an acoustical engineer for Arup and signed on full time as the process continued. The center, pursuing LEED Platinum certification, will obtain all of its energy through a solar array and geothermal power, and visitors will be shuttled around the immense property in electric vehicles. Future design for Tabula Acustica. 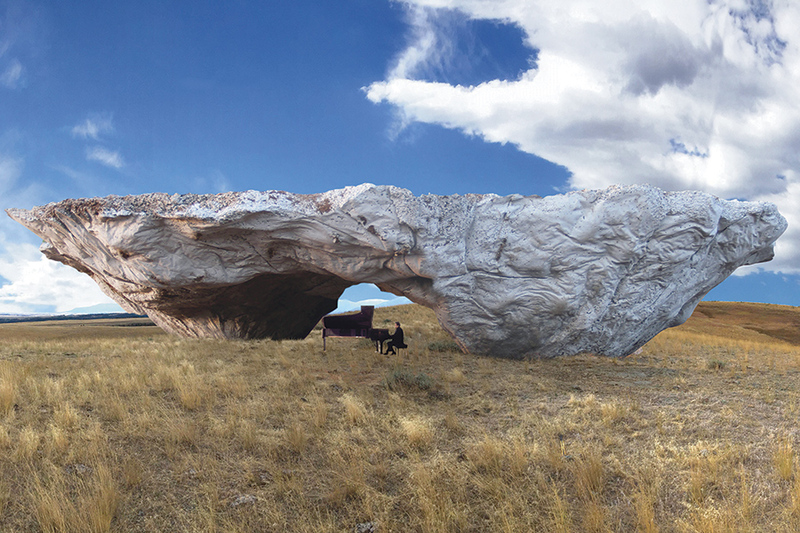 The space’s ambitious art pieces, separated by miles of emptiness, will include a series of gateways, markers, and roadside shelters by several designers. The most notable have to be those by Brookline, Massachusetts–based Ensamble Studio, which literally use the earth as a mold for its raw concrete, earth, and stone mixed structures that rise from the ground like pieces of geology. Their two 150-foot-tall, arch-shaped portas, which act as jagged monuments and temporary shelters, will be tilted up like warehouse walls after being cast in the ground below. Domo, an even larger structure, will be cast on mounds of earth, which will be removed after the process is complete. 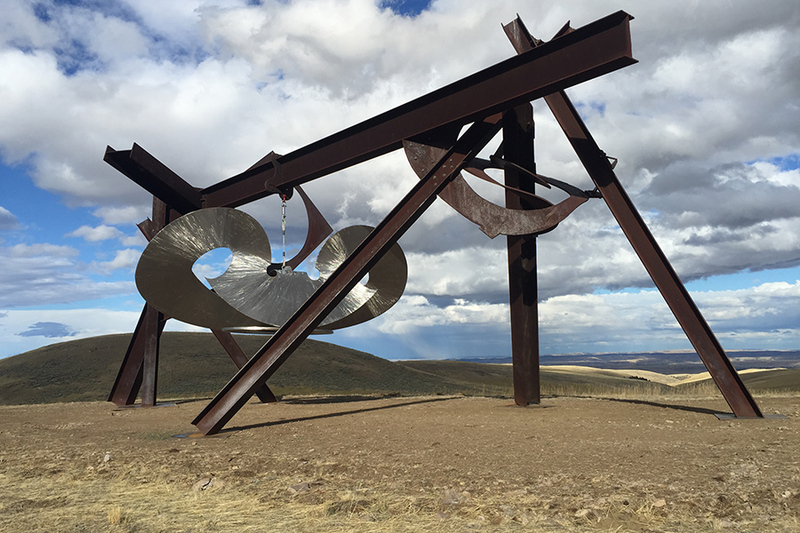 Mark di Suvero’s monumental steel Beethoven’s Quartet and Proverb. “How can the architecture act as landscape and not be in conflict with it?” asked Ensamble Studio principal Antón García-Abril, who described the structures as “quite alive.” The firm has created similar installations before, but nothing close to this scale. 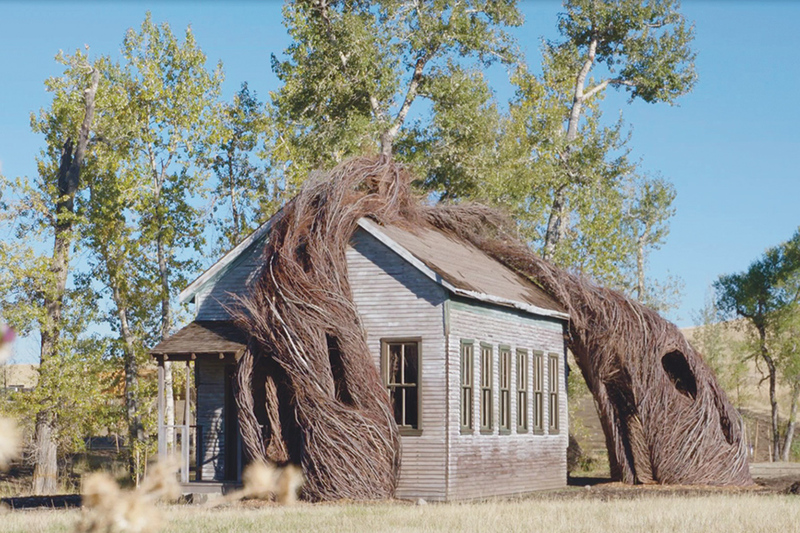 Other outsized artworks will include Patrick Dougherty’s Daydreams, a tangle of willow branches wrapped around a frontier-period schoolhouse; Mark di Suvero’s monumental steel Beethoven’s Quartet and Proverb, which can be played with hammers like musical instruments or move like a pendulum or a metronome; and Stephen Talasnik’s Satellites, which consist of nomadic wooden compositions poetically dotting the landscape. “If people think ‘I have to go here before I die’ then we will have succeeded,” said Basuett of the undertaking. “We’re trying to get away from the walls of the concert hall and the museum.” Many, many miles away.